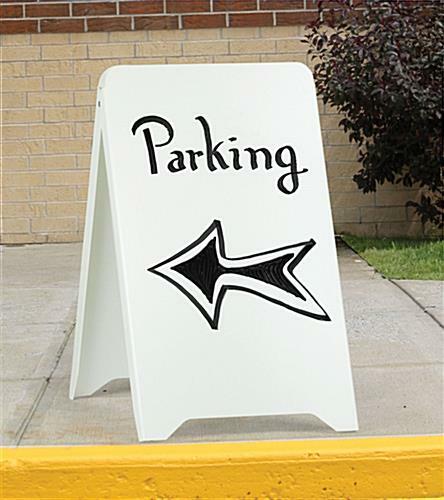 Inexpensive Sign Supply For Sale Online is Perfect for Temporary Signage! 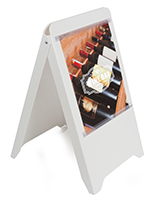 This Sign Supply is a Lightweight Sidewalk Display! 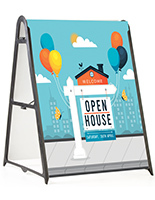 Wholesale Sign Supply Company Sells Sign Making Kits! White exterior is neutral background for colorful advertisements and promotions to jump off! 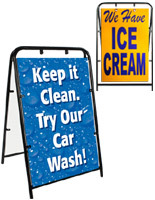 This sign supply is the cheapest one we sell! 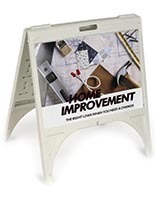 The durable plastic sidewalk sign represents an unbeatable value, which is a nice change given the high cost of most items in today's economy. 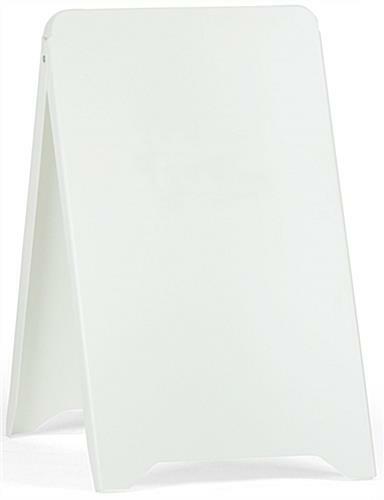 Made from cheap plastic polystyrene, this sign supply should be used with vinyl adhered letters or with taped on signs. Writing directly onto the sign face with any type of markers will be permanent. For products with write-on surfaces, please see related items on this page. 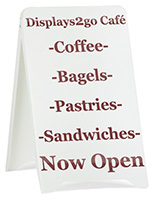 The sign supply makes a great pavement sign, menu sign, or retail advertiser. 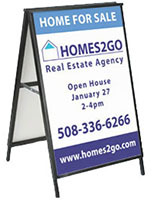 The sandwich board sign supply is lightweight and folds flat, making it easy to carry and store. 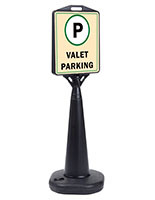 Direct customers to parking areas or entice passersby into your business. 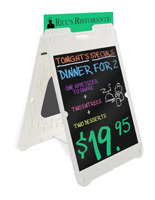 These inexpensive sign supplies for sale make advertising cheap and easy! Dimensions: 35"h x 20"w x 27"d.
Viewable Area: 32"h x 19"w.
Actual weight is: 10 lbs. 20.0" x 73.3" x 27.0"